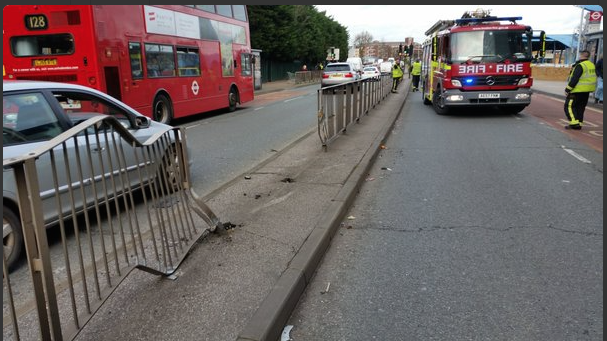 Firefighters free woman in Romford road traffic collision. Firefighters were called at 8.41am, and used specialised cutting equipment to free the trapped woman. The London Ambulance Service took the woman to hospital, whilst a man (also involved in the traffic collision) was treated at the scene. The firefighter crews from Romford, Hornchurch and East Ham fire stations, handled the incident in just under an hour, concluding at 9.40am.